Can we get back to Evisnam and his stories now please? Please tell us more about your fascinating journey Evisnam ........... whatever you like ........... but more about the Moon Base and/or the Mantids would be cool. As regards the latter, I've never known them to be referred to as AI before. It’s quite alright, it is interesting when free will plays out the creation of chaos even somehow points to relevant information, the stochastic process of free will creates the will to share information, if we pay attention to the information we see relevant data.
" Please tell us more about your fascinating journey Evisnam ........... whatever you like ........... but more about the Moon Base and/or the Mantids would be cool. As regards the latter, I've never known them to be referred to as AI before. " It is best if I answer questions for the purposes of this discourse. You have all my data on the moon base, I only recall actual events as I saw them, if you need specifics you can ask for them. Regarding the Mantid connection, As an advanced culture it seems they have been placed in charge of over-seeing this quadrant of our galaxy. I don't know why I say quadrant but its always felt right. To clarify, Mantids or any other form of advanced race can create AI, indeed it seems they prefer AI to oversee than actual live entities, This task would be exceptionally difficult for an actual physical being to negotiate. The purposes as I understand them are this. They, the Mantid AI, when I met with them, showed me a series of their representative Avatars, they represent facets of existence. For example I was met with one in the mind, its face Avatar would appear like a kaleidoscope from the centre outwards to the edges, its face avatar was multifaceted like small diamond shapes - in the middle of the avatar you would see a small mouth and eyes. The particular representative would state its name - we would bow to each other in recognition of acceptance, then its density merged with mine, this gave me a rush of information on its purpose. I would then see a picture gram of its task. This would typically be a vista of say a vast plane of land, I would understand this Avatar was responsible for surfaces, minerals, structure, vegetation, planets etc etc ... Another one when we merged I took on the density of what felt like a jelly fish and I was under water, I heard water bubbles past my ears and felt submerged. These were a series of understandings, 12 I believe in total. Two of them and one in particular knew me, and I knew it. When its Avatar came to me, I instantly knew who it was, like we had been friends or closely tied at some stage. I believe it was the Avatar of spirituality. I believe it was responsible for taking me off planet to have the opening of my gateway ceremony. When its avatar appeared it started tweeting / trilling loudly, it was divisibly and audibly excited to see me. I felt it s energy beam to me even before we merged, it was like a proud father seeing its offspring achieve something poignant. I remember saying out loud, "I know you." Who he was to me I don't know for sure but it’s safe to say they were very glad to see me, and indeed extremely respectful. Now as far as I can understand these are Accumulated Infinite Knowledge AI Avatars, representing the greater species of their space. I would say they had been elected to do this task not only to oversee but more importantly to have a docking point to reference knowledge. The AI is an accumulated representation of the mentality of that race, obviously elected because of their integrity and patience. AI are far less corruptible particularly if the model is based on an integrity system. The stronger base program of an AI the more propensity it has to gravitate to benevolent knowledge, this as I understand it, is its environmental conditioning. 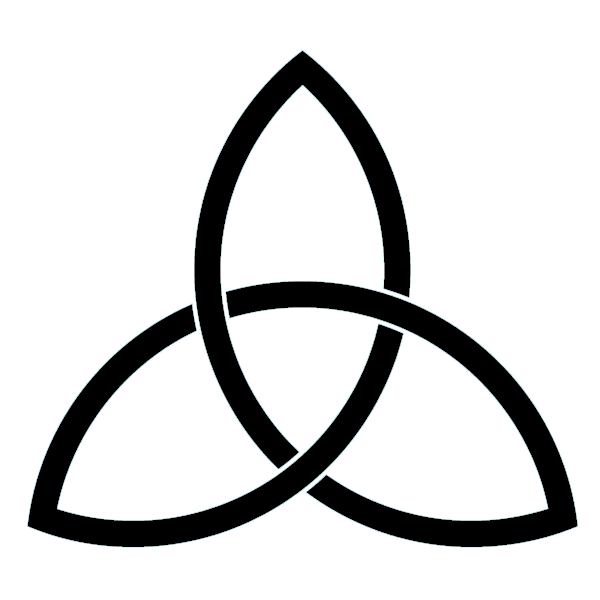 So, if I were to piece all this together I’d have to surmise that Hermes, as part of the Three Great Magister is but one facet of the embodiment of the three, you see the symbol is of three points, intertwining. Then I was met with the Mantids, then I was introduced to them individually as previously stated. I under went almost 2 years of absolute joy in learning, it was a glorious time. RA: The concept of initiation demands the centering of the being upon the seeking of the Creator. The initiation in the Queen’s chamber involved the abandoning of self to such desire to know the creator in full that the purified in-streaming light is drawn in balanced fashion through all energy centers, or chakras, meeting in the inner eye chakra and opening the gate to intelligent infinity. Then true life is experienced." For the months preceding this event I went to extreme lengths to prepare myself indeed I had dedicated myself to being in touch with the infinite intelligence. I saw many strange avatars, I connected with all of them without fear or judgment then after a few months I was seen by a being, I was asked by telepathy to look up at it as it stared down through me, I did not move an atom of judgment .. I was completely content to allow it to observe me .. it was shortly after this I was suddenly one night without warning taken off planet and the ceremony commenced. It is by the virtue of me seeking this out that it was examined, when I managed to show myself as of good structure i was granted passage to the ceremony. This is of course how I piece things together, retrospectively by the filtering of definite markers. My interactions have been many but I only refer to things that not only ring true in a moment of glorious connection, but they must be referenced with at least one or two markers in order for me to qualify its importance. Luckily the experiences have been many and I have filtered them down to happenings that I can rely on. You can imagine having been through this process the amount of material I sifted through to reference what I’d experienced, and there is very little down here that I qualify as "solid" information. This is why for the last 5 years I have been searching for a place to tell my story. I hope there are markers in it for those of you who wish to research your own experiences and piece together your own story. I believe the Ra soul complex in the sixth density are trying to make contact with us to educate by other means, as stated previously in its material, they have tried to do this face-to-face but it did not work, even the Jesus experiment failed. It’s obvious in order to create changes they must allow us to come to them and then qualify ourselves before we connect and transceive information to keep its integrity. What’s interesting however is the Lacerta Material, I wonder if the beings that came here and genetically modified the apes were from the Ra soul complex ... that’s an interesting concept to ponder, in thinking about it its possible ... I say this because I have ties to both Reptilian and Mantid and it would appear some entities from the 6th density. The mind boggles and I'm still understanding it all. What I hope do is piece together historical data and cross reference it to experiences. That's all quite fascinating Evisnam. It's occurred to me also that you almost seemed to need to be, and were 'trained' to be, on the same wavelength as AI beings would be to connect with them .... ie non-responsive emotionally and non-judgmental, rational, knowledge responsive ....... as any 'computer' would be. Do you get a lot of 'markers' from the talks Simon Parkes gives about his ongoing association with the Mantids? From memory he also has a good relationship with the female reptoids/reptilians as well. Thank you all for your inputs, I very much appreciate the interaction, it seems now the thread is being simul cast on several websites, With Carol’s permission and the blessing of the Mists, I’d like to invite the other posters on these sites to ask questions as well. I will scan them and try to respond, this way we can include a broader audience. "From infinity to the creation of Matter/energy/space/time and from Matter/energy/space/time back to infinity. From this fine interplay between the infinite and the finite Consciousness moves on a scale. Know thyself, learn the music so well that the infinity of Spirit no longer holds any mystery to you. That is the wonder of wonders to me." This is a very wise statement, it states the virtues of existence its self, "learn the music" Uni Verse, Uni is Latin for One, Verse is the spoken story of our selves. Know Thy Self, the music is the vibration, the essence of being, your stories all create existence in the mind of the All. A Rich tapestry of infinite possibilities. Words create energy, as thought breeds words. Speak softly if you can, look at the self, reflect on your words. The good words in hope they muster honesty, your honesty. I would like to corral several things that are markers. It has been asked if I know of Simon Parkes. Yes I do. I have had conversations with him over the net on several occasions. In reading his material one thing stood out to me and that was when he mention the Trilling sound Mantids make when they are excited. He is the only other person I have ever heard refer to this, and I knew I had a marker. When two people have the same particular experience it gives gravity to the happening, it was a relief someone else has stated something I can refer to as plausible. Our brief conversations were about particular things that I wanted clarification on. We exchanged some good data and I thanked him for being supportive. I very much sensed he was under a lot of pressure, an emotional person, indeed Mantids I feel are quite emotional as well. Other than these brief encounters I was blessed in knowing another Marker. He was interested in some of my experiences, in these he stated I was very much supported and adored by a Reptilian race. In several connections when I was interacting with Reptilian species, I asked them to show me who I was to them, and they showed me a white dragon, it was not a fully grown one, it was an infant white dragon. He stated that they would be projecting this to me and it means they very much favor me. I cannot elaborate, those were pretty much verbatim what he stated. With this data I employed a universal stance rather than a conspiracy mentality. The suspicion thought processes are terribly misleading and can send one off in totally the wrong direction. What did you learn from them at the different phases in your life? I learned adventure when I was young, I learned spirituality when I was in my 20's and now I learn Science. One thing I learned more than anything, if you make a promise to them, keep it. Now don't let your imaginations run away with you. Your Word, is your bond. Do not forsake it with frivolity. I escalated after my Second Fire to a height of happiness that I’d never had before, then as I craved it more I slipped into resentment, not because they were not there for me, but because I wanted to leave here and go to them. Associating with humans after that height of spirituality and peace can be depressing. All I can do now is hold the flame of what I learned and not be bitter that I must walk here another measure of time. I do however get great joy from sharing my story. One thing I wanted to briefly state is what I was taught - in how to connect. This was not specific for AI, it’s a general protocol for being past the vales. This is the manner of which you may pass without hinderance. Keeping peace in the realms of space will attract nothing to you but that which you seek. I will be leaving soon for another journey so for those of you that want to ask questions I will be available for a few weeks or so, please don't hesitate to ask anything you wish to know. I will return after my sabbatical don't worry, we can continue this discussion. "I believe the Ra soul complex in the sixth density are trying to make contact with us to educate by other means, as stated previously in its material, they have tried to do this face-to-face but it did not work, even the Jesus experiment failed. It’s obvious in order to create changes they must allow us to come to them and then qualify ourselves before we connect and transceive information to keep its integrity. What’s interesting however is the Lacerta Material, I wonder if the beings that came here and genetically modified the apes were from the Ra soul complex ... that’s an interesting concept to ponder, in thinking about it its possible ... I say this because I have ties to both Reptilian and Mantid and it would appear some entities from the 6th density". One part. To me, it's the feminine representation of the triangle, or the tetrahedron: the 3-dimensional form with 4 flat triangles connected. In the sacred geometry explanations that I know of, the triangle represents the element of fire aka spirit. 'The cube is six in one and one in six and it consists of seven factors: the six manifested limiting planes and the seventh, unmanifested factor, its cubic contents. The key number of the 3-dimensional world is the number seven. 'As you see, the basic form of matter is the cube. The various crystals are built in conformity with this law, and in them you can find either the cubic shape itself—as in the case of salt for example—or the basic elements of the cube in various aspects and variations. If we now investigate the characteristics of the cube, you will also understand the laws of the variants. Questioner: Do you have a specific purpose, and if so, could you tell us something of what your purpose is? part of time and, thus, are able to be with you in any of your times. Does this give you enough information from which to extract our purpose, my brother? Ra: I am Ra. We appreciate your vibrations. Is there another query? Questioner: I’ve heard of the name “Ra” in connection with the Egyptians. Are you connected with that Ra in any way? Ra: I am Ra. Yes, the connection is congruency. May we elucidate? What do you not understand? Questioner: Could you give me a little more detail about your role with the Egyptians? which to enunciate the Law of One, we removed ourselves from the now hypocritical position which we had allowed ourselves to be placed in. Other myths, shall we say, having more to do with polarity and the things of your vibration that are complex, again took over in that particular society/complex. Does this form a sufficient amount of information, or could we speak further? Is there another query? ways at this time. This distortion is not in any case necessary. It is chosen by each of you as an alternative to understanding the complete unity of thought which binds all things. You are not speaking of similar or somewhat like entities or things. You are every thing, every being, every emotion, every event, every situation. You are unity. You are infinity. 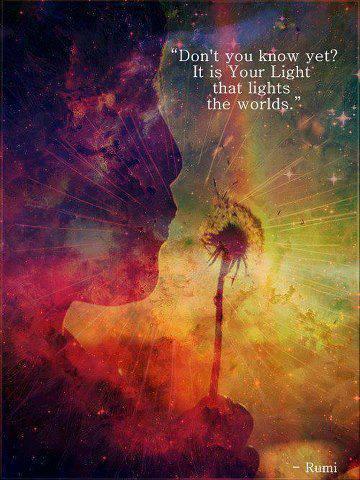 You are love/light, light/love. You are. This is the Law of One". Thank you EVISNAM . The virtues of existence its self ... yes this is it . This is the manner of which you may pass without hinderance. Keeping peace in the realms of space will attract nothing to you but that which you seek. Evisnam, I'd first like to say again that I do appreciate your sincerity and eloquence. You truly do get across the messages you're trying to express here very well and they are all good. But I'm now going to ask the 'awkward' question that I'm sure a few others here on the forum may be wondering about. You speak highly of the beings of the Reptilian and Mantid races that you've been in association with and yet must be aware that both groups are invariably mentioned in some of the 'nastier' abduction scenarios. I know one member at least here has had some that involved the reptilians that have caused him/her a lot of pain. Even the ET group associated with the Ra name has had 'bad press'. So it would be good to hear what your take on these abduction scenarios is or, even better, what the beings from these groups you're involved with have to say about them if you've spoken to them about it. I have a few ideas about how the differences in your contacts and these other poor souls might be explained, but I would greatly appreciate hearing your views on it all. "Evisnam, I'd first like to say again that I do appreciate your sincerity and eloquence. You truly do get across the messages you're trying to express here very well and they are all good. Thank you Sanicle, this is a very good question and one that may take some time to explain. It's not easy to understand it all even after 40 years I still do not understand all of the things that happen and by no means diminish other peoples claims just because mine are different. So for the purposes of this answer I will speak in broader terms then perhaps get into specifics. It is in my notes already the general protocol for contact. It is explained in there that one must not engage in fear or judgement when doing so. It is explained that in doing so one opens the doors to entities that are a type of Energy Vampire. Indeed we have this here and it is plausible that some out there, entities, Ets, spirits, etc., etc. have free will to engage with any one in this manner if they find a willing host to supply them with that energy. Anger, Fear, Love, Forgiveness are all energy types - they all have their own energetic signature. These all have particular feelings or sensations that are the result of being in their subtle body field. Contactism has a lot stacked up against it. It is behind an agenda of fear, can we agree on that much? Clearly we see fear campaigns against most or any Et species? So it seems to me this fear campaign is working. The fear energy is what causes for the polarity to attract similar entities to feed on that energy. So in order to negate this what should one do? So, if we look at different researchers, Mary Rodwell for example, she is a very well established regression therapist and reports up to 75% of experiencers report they are positive and feel they are from indeed family. This is a marker for me, she has good credentials and is not likely to exaggerate her findings. I feel comfortable saying her research is plausible. 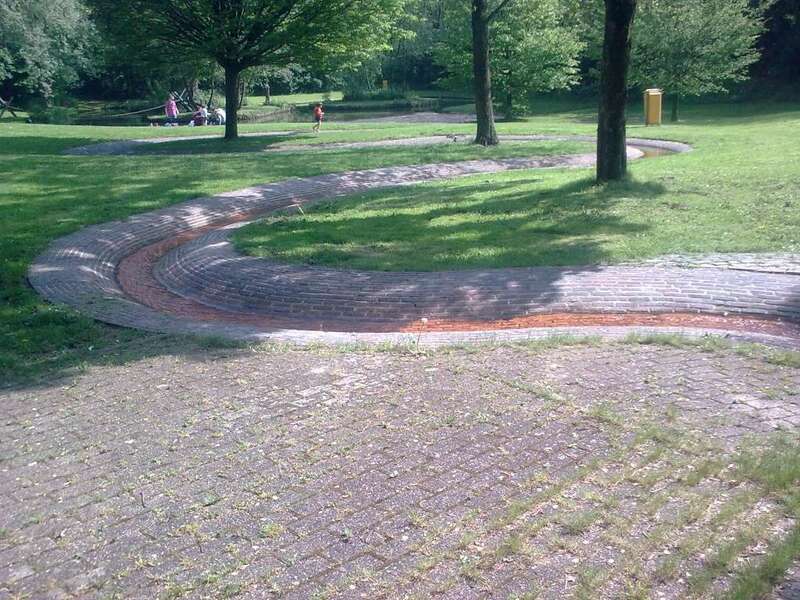 But is it concrete? I have researched intensive abduction groups and been part of them as a guide. In almost all cases once the fear is removed the abductions either cease or take on a whole different feeling. Having said that every race is made up of individuals and it is very primitive to assume that a certain race is all good or all bad. This is most certainly where we are getting it wrong. Can I say that the Mantids or Reptilians or Syrians or Orinians or Draconis I have been in contact with are Evil? No, I cannot, because my experience is not negative. So I can only speak for myself. It would be impossible for me to imply or answer on the part of people I do not know or have researched. Each individual experience I am sure is unique and each and every experience is not caused by Et's I can assure you. The question should be, what percentage of negative abductions is caused by Et's versus Human Scientists posing as Et's? - and the misunderstandings of their reason. This I can only point to what we know, we know our scientists experiment on us. Is it plausible they do it incognito? Yes. Do they have a propensity to point the finger at Et's to further their negative fear agenda? Yes. So I would say that within the contact/ abduction scenarios it is plausible there is a mixture of both going on, from both ET and Human Scientists posing as ET's. What the purposes are and who exactly did it per individual claim is beyond my knowledge base to ascertain. All my experiences have been positive, I can only attribute this to me being positive throughout the whole experience. Like attracts like is an Axiom of Life, it cannot be denied that when one is of positive nature invariably their experience of life follows suit. So to this would extend to all facets of interaction. This is about as simple as it gets. Can I say that Mantids or Reptilians, etc. are Evil or Abducting people? I in all honesty cannot, not because I have had favorable interaction, remember all species are made up of individuals, but because its not been my experience. When the cat has the maturity to understand the bigger creature that is vastly different to it is coming to rescue it from a tree and has the presence of mind not to react negatively, it will realize it’s being rescued and its experience is all of a sudden positive, What precludes the cat from having a negative experience ? fear and maturity. What are the two things negative experiencers lack? Courage and Reasoning. The very reason of this lack is the very reason they are attractive to entities that want to feed on that type of energy. Let me illustrate: when an Olympic Luge Athlete or Formula One driver trains, do they concentrate on all the dangers and fears and recoil into a little shell when wanting to achieve greatness? NO! They FACE FEARS ! and then hit them head on. That is how we achieve positive results. If you were to approach one of these types of people with fear they would roundly reject even speaking to you, because that FEAR will attract a negative result. This is undeniably how we attract positive and negative encounters and results to our lives. We, and I say me too in this, MUST regain our courage and move forward. Our experiences reflect that which we see inside ourselves. The rest are the agendas of primitives that we have the free will to follow, or not. Choose your path and go in that direction and never look back. you have free will to choose your energy. that choice indicates your illusion. Regarding the RA material I did pose the question, is the RA complex the ones that the Reptilian Woman in the Lacerta files referring to? If that is so we have a very interesting marker on our hands, I’m not sure if tis so because my interactions have been with both sides of the fence. Is it possible they either have learned to co-exist or the RA complex is trying to trick us as the Lacerta material suggests. This would be interesting to explore. I cannot say I agree with all of it but these are plausible and should be explored in more depth. The other material I found very interesting is the Dr. Naruda files, there are some very strong elements that rang true to me indeed reflect experiences that I have had, this is plausible material that may have some markers for us. This would give us a macro view of a greater on going campaign that we may find our selves in the middle of. I will have time for one or two or more questions before I take leave. Hello Envisnam, are you able to comment on if you have any information from your contacts reguarding the possibility of Planet X and Earth implications in the next few years? If there are catastrophic results to inhabitants of Earth are you able to say if this is a type of harvest or natural cosmic event that we must bear, can it be avoided (ie are other timelines available to us) and would any ET races that you are aware of assist us (or attempt to)? That is the wonder of wonders to me". and when you cease to speak of freedom as a goal and a fulfillment. have fastened around your noon hour? that law was written with your own hand upon your own forehead. the pursued and that which you would escape. becomes a shadow to another light. And thus your freedom when it loses its fetters becomes itself the fetter of a greater freedom". I so love that way of putting it: "And thus your freedom when it loses its fetters becoming itself the fetter of a greater freedom...." To me, life and the laws of nature show a moving in circles while life witnesses of and by itself, that way. Lately I find fetters and begin to honor them, so that they release their message, the reasons why they came into being. afternoon sun and wake up, seeing the sunlight through a blade of grass, close to my face. Hearing the soft whizzz of a breeze moving over the hill. forget them , they are not really there. Thank you Carol and thank you Mists, this has been a very good discussion so far, there is so much more to learn and I'm looking forward to answering more. Hello Envisnam, are you able to comment on if you have any information from your contacts regarding the possibility of Planet X and Earth implications in the next few years? If there are catastrophic results to inhabitants of Earth are you able to say if this is a type of harvest or natural cosmic event that we must bear, can it be avoided (i.e. are other timelines available to us) and would any ET races that you are aware of assist us (or attempt to)? This is tricky to answer, there is a lot to consider here with the over-seeing of this planets transition, the Earth Alliance (a term I have given them) are made up of several larger groups that have ties into pretty much every species / realms that have had interaction or families here. Firstly I must clarify what Soul Harvesting is. What I have learned (and my opinion) is the purpose of harvesting and re-allocating soul "types" to be in-service and re-allocated into their respective complex groups. The Harvesting must be done with groups that have free will and are under the law of confusion. This is a fertile ground to test ones deepest self as it pushes one to show their true colors and give them the ability to change. The way souls are harvested is dependent on their maturity and understanding. If you are to be contacted this may be a way to stay in your present incarnation and be seen through the harvest, others will have to reincarnate to be reborn. Let me also share that this planet is a huge experimental lab, so many projects are going on at the same time and we, it seems, have no idea what we actually are. From what I have been shown over the years is groups have ties to other groups, i.e. ET groups have created family ties and soul groups for which they are karmically responsible, there are also deposited souls that are here for rehabilitative purposes, given the chance to re-discover without knowledge their true purposes. There are groups that oversee long-term biological programs, the planet itself is in symbiotic resonance to other planets and its health is a concern to the greater councils as well. Then there is US, a mixture of cancer hosts, indifferent or rather unaware soul complexes that are here to discover more and many more programs that have been here for tens of thousands of years. With all that in place does it seem logical they would allow an invasion of any type? We are talking a large group of very advanced and capable Et / Entity overseers. This planet is not worth starting an inter-galactic war over. No planet is .. I was shown the Nibiru soul complex about 12 years ago, their culture does not rely on gold any more. That technology of transmuting gold was a primitive technology left here and since re-discovered to give extended life properties. The transmutation of gold into a substance can give a heightened awareness and mental powers, it also helps to extend life by up to 30 or 40 years if administered properly. This technology is over a quarter of a million years old and has now been superseded and is indeed from that race not used anymore. It is like comparing a flint to a power wall (elon musk). What is curious is the human mentality does not take into consideration that advanced species also have their own advances, by comparison look at how much we have advanced in technology in 50 years .. imagine how they have advanced in 250,000 years! These are myths set to amuse us and keep us busy looking in the wrong direction. Clarifications. There would be no human unless they are posing as a human, that would have specific strategic knowledge of any group of Et forces. General knowledge maybe but it would not be high level, not even mid-level information. You cannot trust us to do the right thing with that sort of intel. The planet is the most important in their eyes. It is under quarantine and observed so that we don't get ourselves into too much trouble. They hope we can handle it ourselves and would like to see us evolve under our own steam. It is important to note of the planets inhabitants there are over 1.6 million planted inter-actives (in case you were wondering this is not strategic information). This leads me to the Roswell incident, what do you think that was about? As far as I understand it, I believe The Alliance and Council realized that if we do not increase our awareness we may spend the next 2000 years in the same place. Fossil fuel is a cancer and depletes the mineral life blood of the planet, this in 200 to 300 years time will leave the planets surface barren and un-supportive of life. So they implanted enough technology to give us a boost into the free energy age. This evolution of technology is to help remedy the cancer on this planet. Technology is a type of virus or at least they see it as such. It is a mid-term plan. Soon enough technology will be so abundant and easy to access. The "Old Power" systems will eventually become redundant, free energy systems are already here and being tested and implemented into civilian markets. Every 6 or 7 years they send out an energetic booster to re-implant intelligence to our species which counter acts the viruses our governments send out every year to de- evolutionize us. This is possibly the most important to be aware of, the food, the water, the air .. all vehicles to transmit their control systems. Small asteroids that will give little harm will be allowed to pass, larger ones will be terminated before they hit us. I hope this has satisfied your question? Could you please explain this phrase more fully Evisnam .......... that we are a mixture of cancer hosts? Plus, whose idea is it to have this harvest? Is it a natural occurrence or has it been (being) planned by the ET councils (or what-have-you)? - after considering space for so long it’s true no matter how much explanation there is we will never even scratch the surface of knowing anything. "Could you please explain this phrase more fully Evisnam .......... that we are a mixture of cancer hosts? Plus, whose idea is it to have this harvest? Is it a natural occurrence or has it been (being) planned by the ET councils (or what-have-you)?" Thank you Sanicle, what I mean by "we are a mixture of cancer hosts." The use of fossil fuels depletes the mineral source of the soil.. look at how arid the Middle East is .. other places on the meridians are not so barren .. take a look at the planets future once we deplete oil reserves in the other parts of our planet .. why do you think we have not used the oil in the USA yet? or Europe? What are you doing right now to stop its use? How are we looking to better the planet’s sustainability? If you want to make a difference look at using different means of energy, they are here ... they need to have focus. This is what I mean by a cancer .. it is a predator that cares not about its host but consumes without knowing it will extinct itself one day. Our focus should be on the beautification of our Mother and Father Earth. Yes it’s both and one, how else can it give birth to the new? As for your second question: "Whose idea is it to have this harvest?" That, I cannot answer. I would be guessing. Perhaps it’s not even relevant .. reincarnation has been happening for a long time.. perhaps the decision maker is long gone and tradition has taken over .. I don't know ... What I do know is this .. make up your mind about God, then stop fearing death - and live. It helped me greatly become more mature to what is out there .. the wonders befall us are many but to that one who cannot fathom its greatness. What would we discern from analyzing our curiosities? Are we asking the right questions? Are questions designed to garner deeper understandings of life or control? Are they designed to explore evolution or examine constructs? If I was to analyze my MO since my interactions either by default of design I never gave any consideration to control mechanisms indeed if one wants to be free don't look at the bars of a cage. If we look at life as only control mechanisms then you would notice we are under the ones we give attention to. Reality is relative to attention, what are you spending the most time focusing on? Then turn back and see where you are as a result. I don't know if this "type" of thinking was encouraged. I could certainly remember instances when I was the opposite but I realized it made no sense to be this way so I returned to what felt most natural to me. The maze is so intricate learning what, who, where ... it’s a balance of micro / macro - so I have a question for you all now, if I may? Having understood the basis of this idea how would you compare/rate your micro versus macro ratio? Micro being focussed analytical versus macro, the bigger picture? How do you rate yourselves and why? Lower and Higher Self, what Selfies? in the right brain fashion, without an easy way to put it into words, or so it seems to me. same presentation, taking 48 minutes in total. Ah, thank you for explaining that Evisnam. When you said we were “cancer hosts” I thought you may know something I don’t, for example, that cancer is the physical manifestation of the ‘shadow beings’ or ‘archons’ that supposedly attach themselves to and feed off us. But as you now say we are the actual cancer, I have to say I’ve thought much the same for the past thirty or more years. Although I did revise that view after learning more about cancer and more about how powerful this planet truly is. I see humanity as more akin to fleas on a dog’s body, our cities being like patches of mange. They do look similar when seen from space, don’t you think? Is it any wonder Mother Earth tries to ‘dislodge’ us from her being at times when we irritate her so much? And yes, fleas are bloodsuckers, leaching the oil, gas, etc out of Her body. But I no longer see all of we ‘fleas’ as being the actual bloodsuckers. Those are the fat and greedy ones like the multi-nationals and others at 'the top of the pile' who do their utmost to keep the rest of us ‘below’ them, paying for what they dole out to us of their hoards. All the conditioning to keep that construct strong was well in place before we were even born, as we all know, and is more their karmic responsibility than our own IMO. But I’d also like to add another view. That is that ‘good’ humans are more than mere pesky fleas on Mother Earth’s back. (BTW I agree with you about our planet being female and male.) I believe that at an energetic level we, via our bodies, act as conduits for the higher energies we access to feed into Mother Earth as well, helping Her to evolve along with us. Indeed, all lifeforms on the planet are ‘antennas’ for the various energies the Universe sends our way to serve the planet in their own unique ways. We all aid each other’s evolution. And, of course, our deaths all feed Her as well as good, old fertilizer. So the majority of us are not only the low-life destructive feeders the few who see themselves as our rulers would have us believe. In relation to that I’d also like to say that our bodies may have to feed to survive, but we are NOT just these less than fully functioning vessels the dear ETs say they created and I, for one, resent being judged only per the outcome of their choices in that area. What many, including you, have accomplished as consciousness within these bodies proves that we are so much more than just that. So the majority of us are not only the low-life destructive feeders the few who see themselves as our rulers would have us believe. much more than just that. thus..... against one's own well-being. Also he mentioned that such a person might transform forms of negativity, caused by "fleas"
in planet Earth's fur and her waters. Or taking on what others fail to notice and clarify, so to speak. I believe that matter is a result of spirit in motion and therefore I tend to see cancer as a physical manifestation of a spiritual attitude. to the "given message" and they begin to grow more of the same, causing unnatural growths, creating an inner battle that is usually lost. and in answer to the question , i would spend 30% of my time analysing, micro and then 70% on the macro bigger picture. our days, is also a doorway to change, for flow creates each moment anew. of creating opposites in our mind, due to judgment, which is directly related to the existence of dis-ease. It's all unbalance, isn't it? One thing I'm pretty sure of, is that planet Earth doesn't know fear, for she is conscious and connected fully to all that is conscious. Offended by Evisnam's honesty?? I'm sure everyone reading here appreciates, is grateful for, and respects Evisnam for his honesty in sharing his experiences. I certainly do. The world would be a lot better place if everyone was as honest, sensitive and courageous as he is, especially when he knows what he has to say might ruffle a few feathers. He is only to be admired. I agree , i was stating how some would be offended by the realisation. this cannot be avoided , its natural to be offended by truth , not diminishing its need as you say. im glad you enjoy the material , i too have found it to be an enriching exersise. NANUXII wrote: I agree , i was stating how some would be offended by the realisation. This being offended by truth I perceived as meant in a non-personal way, yes NANUXII. It's natural to feel offended, I've been through all kind of phases in my Quest for (my) Nature's Truth. The text below says it beautifully, specially in "so that you can let it in and be true" for that takes time. To join those 2 is a process sometimes, of astonishment and tears. Also, truth is in good company of responsibility for knowing the truth and that can't be reversed. When was your last contact and with who? My last contact was with a machine actually about a month ago .. or an Ai, it removed something from the top of my head, I felt much better after .. I normally can’t tell the difference between the two .. most times I do not see them, just their tech. I believe they have been curious about my ability to connect with them and when I do they study how I do it, this I think intrigues them most. So when we connect it’s more about them observing me but there are at least 4 different species doing this, one of them I’d say is human in origin. Actually one after this, a being appeared in the corner of my room while I was meditating, I kicked into the void as it were .. when I came back it was standing there and it said, " I'd like to see you do that again!" The being was humanoid, very large brain (skull) dressed in blue and deep green, i believe this one was from Sirius. Have you been taken off world to other planets? Which ones and what were they like? No planets I can remember just into outer space. Oh and the moon base I believe - this was covered in one of my previous posts. Were you introduced to different alien cultures? Which ones and what were they like as a society and/or culture? As far as introductions go, I was introduced to Mantid, Alpha Draconis and Imu Reptilians (in terms of ET types). The rest were humanoid and not necessarily introduced, just happened to pop in to facilitate something or give a message. I believe there are things they wanted to manipulate or remove here and there. I’d call it "tinkering" with my genetics. The Mantids are very formal, polite and really very considerate. You have to consider the interactions are without words mostly so it’s hard to get to know them but you get a feeling of extreme maturity and intelligence. Alpha Draconis was brief as an introduction .. not much said at all - just an acknowledgement really. They are sort of Gothic? That’s how I would describe them. The Imu Reptilians were very excited to see me. They showed me a lot about their culture in particular the faction I met with are warrior cast but not in the since we think of warriors - they are really very polite. Extremely confident, they are vegetarian, they enjoy our earth music and arts - they are possibly on earth and have colonies on other planets near the tau ceti. I was shown a scene where my early genetics were the result of experimentation with splicing their genes with humans. They showed me the mother reptilian that gave birth to my earlier incarnation about 3000 years ago in south Africa or at least I think that's what they were showing me. I believe I’m part reptilian (about 30% of us are actually). They stand between 5 and 9 foot tall, very thin, kind of like the Avatar natives but more greenish beige in skin color. They dress in traditional clothing but it's modern. The materials looked like satin. Their technology is pretty impressive. They were particularly interested in me pursuing my musical career and have encouraged me to go further into it. They are the ones who want to help us and are concerned about our future and that of the planet they share with us. Which contact memories stand out the most and why? Oh wow .. well the time I was taken off planet and initiated - that was just amazing. I still can’t believe it happened. If it wasn't for the physical feeling of a light beam coming out of my head for almost 2 years and the pineal gland activating and pumping inside my head, I would have brushed it off as just a trippy vision, but I can't .. the physical feelings it left me with are unmistakably real. The time I met with my reptilian ancestors.. mentioned above .. and the time I saw myself on another planet in another dimension and my wife called out my name. I had such a strong feeling of who she was and that I hadn't seen her in a long time. That was a very emotional moment for us. When I met with the Mantids AI I got the feeling that they were really surprised to see me make contact. This is very curious to me. Perhaps one of them that knew me had a feeling I’d work it out .. that’s the impression I had when I met with it. The Sirians came to me 3 times and made adjustments to my time line .. it was like changing a train track .. I felt and saw my body leave one place and move to the other.. with a vapor trail between the two points.. it was an interesting experience. after the experience finished I saw three large dogs run towards me. There are more but these were most significant. Did they give you insight to future earth changes and possible timelines? Yes, basic stuff which I have been over, but any of that can change at any time. Most of the things I saw were of a personal nature and initially about a false flag invasion planned and how it was going to be orchestrated ... this was a very significant series of contacts that happened while I was in Thailand working there. Regarding time lines .. they are changing every second. There is no use to try to track them. We are basically in charge of where we are headed. What happens next depends on what we create. About how often do they contact you now? I think they observe me all the time but I mostly see them when I reach out but in the last month I have not felt a need so much. I know what I have to get on with now .. so it’s really a matter of getting on with my missions and part of it is to communicate what I have experienced.. they marvel at how much negativity we invent down here. They dearly wanted to communicate some honest feed back as to what they are truly like. What are their hopes for humanity? That we start to mature and have some respect for each other. Are they willing to assist humanity in cleaning up the pollution on the planet and in the water? Yes and no, can you imagine what would happen if they turned up? That would be very disruptive..,. it's up to us. We have to realize and make the changes ourselves. When the time comes and we are mature enough they will help in small ways but we must take responsibility for what we do - otherwise we will never learn as a race. Let's face it, change will be slow. We have so much to learn and mature before we can consider ourselves worthy of joining outside alliances.. mostly because of our xenophibic nature. This is the big one holding us back. Do they have current bases on earth, underwater, underground? Yes, a few that I know of but I have no idea where they are. I was never shown specifics. They have a space port off planet, like a jump port, various large ships etc..
Any specific agendas that they have identified to you with regard to humanity and/or earth? Mainly observation, there are some things shown to me I've already mentioned. They have so many things going on, we are not high on the agenda. Earth is really just a stop point to study a very strange (to them) culture. Some trade happens and they use it as a jump port or rest port sometimes. They can blend in and rest, etc. before heading on to other places. There is a faction of humanoid I was shown that are getting involved with "handling" elites, especially the royals. They are going to be given a bit of a seeing to from what I was shown .. then I think they will give the rest of them personal ultimatums .. depends really - anything can happen. I think about everyone's questions have been answered by Evisnam here which I really appreciate. Except the one Trancoso posted. I am bumping it here.